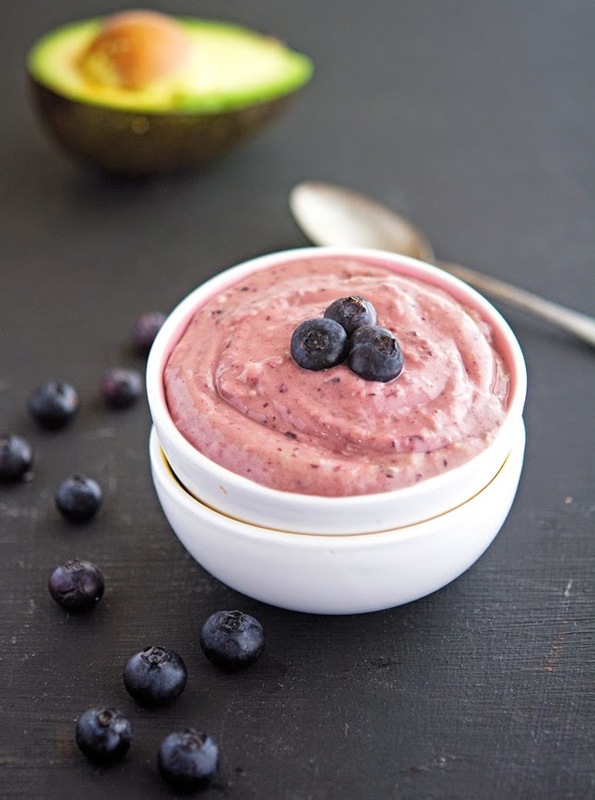 Start your day off right with this super healthy blueberry, avocado, and chia breakfast pudding! I’ve really been on my breakfast grind lately. I find that when I eat a nutrient dense breakfast it pretty much sets the tone for the rest of the day. I have more energy and come lunch and dinner time, I make better choices. I’m an oatmeal and smoothie warrior when it comes to breakfast. Oatmeal and smoothies check all the boxes for me. 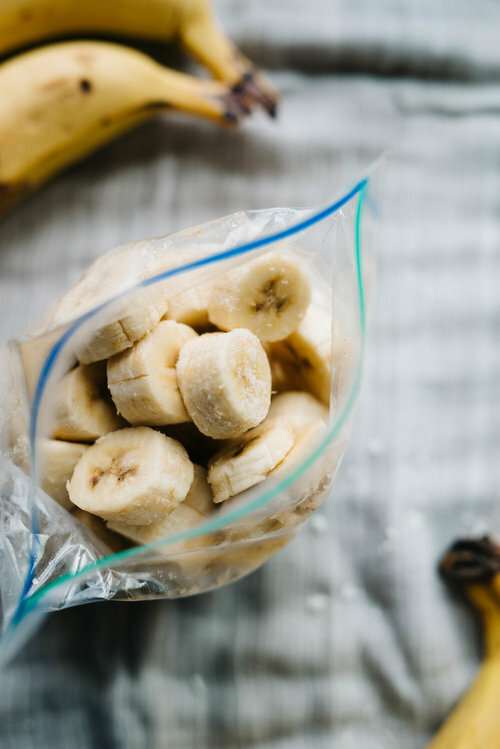 They’re the quickest, easiest, and most nutritious breakfast staples to make in the throes of a hectic morning. Anyway, I got to thinking how dope it would be to make a breakfast pudding, because, ya know, dessert for breakfast is always the goal. 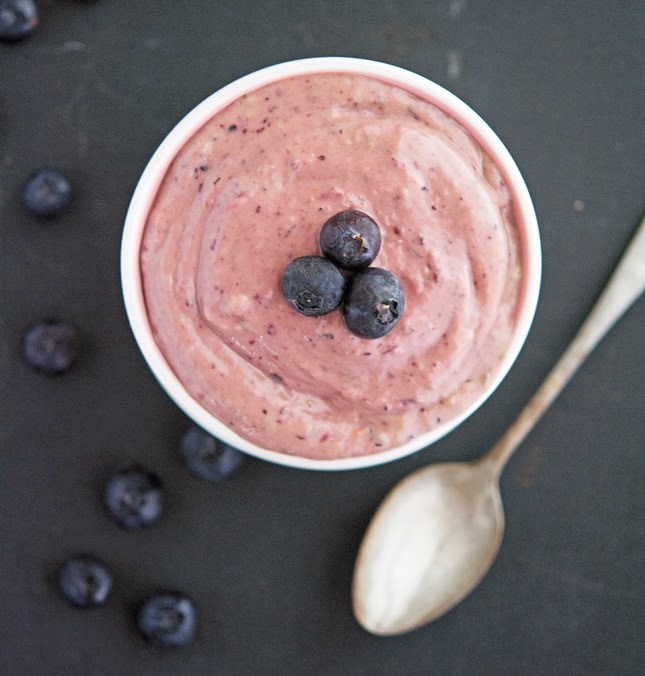 Turns out breakfast pudding is the dopest of dope especially when you combine the antioxidant power of blueberries with the superfood power of avocado and chia. You must try this! Fun fact for the kids: Marie Antoinette’s famous last words were not ‘Let them eat cake‘, but rather ‘Excuse me, sir, I didn’t mean to do it,” after she accidentally stepped on her executioner’s foot. Taking those two phrases into consideration, I started to wonder whether or not she had cake for breakfast the morning of her decapitation, and if she didn’t she probably should have. This, my friends, is how I rationalize eating dessert for breakfast. The logic is baffling, I know, but my sweet tooth is relentless. I actually have 27 and ½ of them (my wisdom teeth and half of a molar were decidedly opposed to being a part of the team). In order to satisfy my love of all things sweet takes dedication, and at times, illogical justification. I can’t wait until after dinner for dessert, and thanks to these recipes, I don’t have to. Best part? They’re totally healthy, guilt-free sweets that don’t rely on sugar and empty carbs to be totally decadent. You must try this! 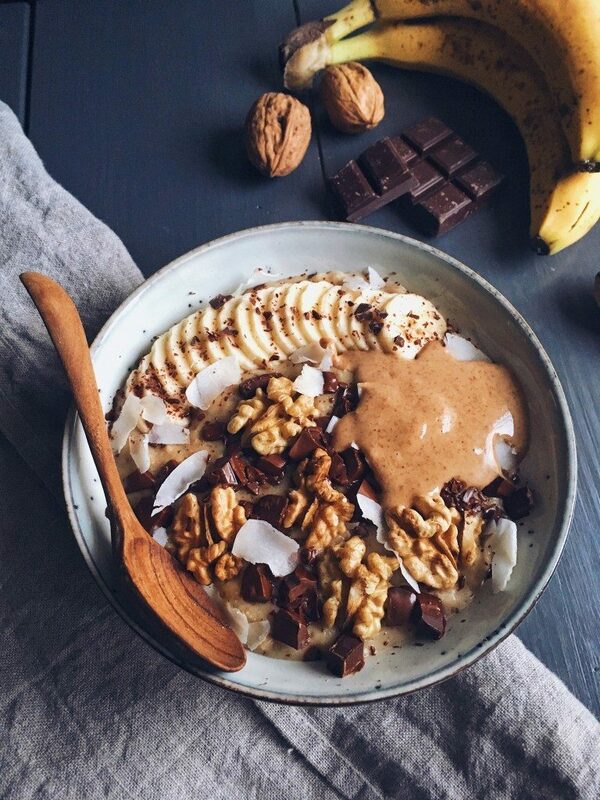 Forget what you may have heard, oatmeal is the breakfast of champions. 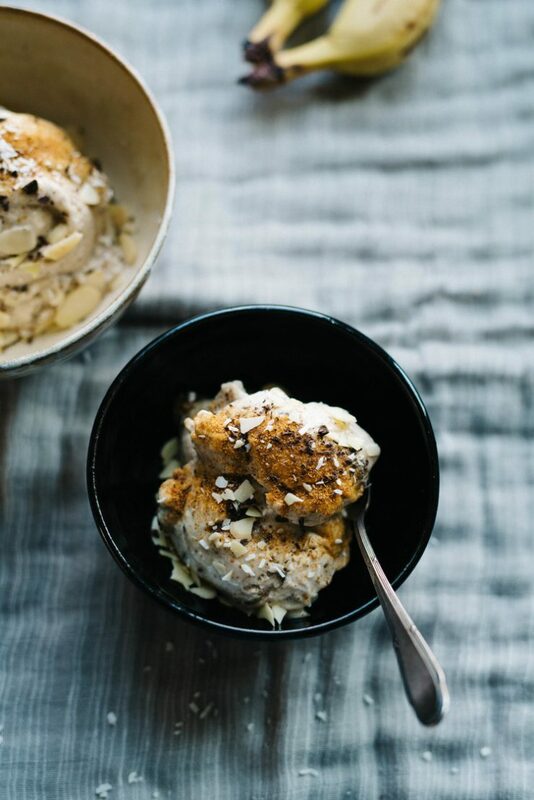 This stick to your ribs breakfast recipe from Clem Foodie is just, roughly translated, Chunky Monkey Oatmeal. But doesn’t everything sound so much fancier in French? 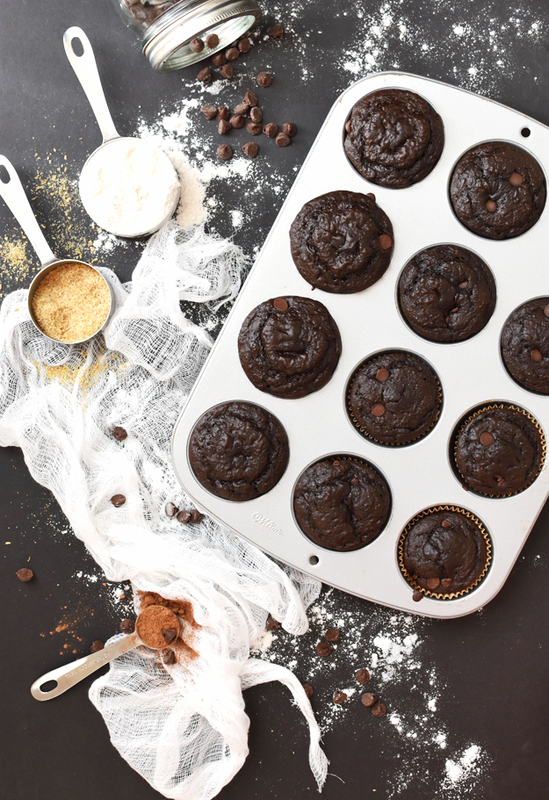 These decadent muffins from The Butter Half are a game changer. 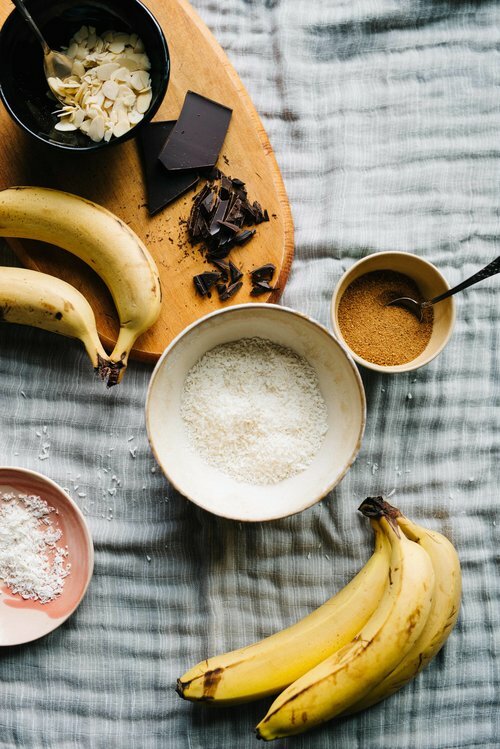 Flax boasts plenty of fiber and omega-3 fatty acids, while the chocolate and banana add a one-two punch of antioxidants and potassium. Sinfully healthy! 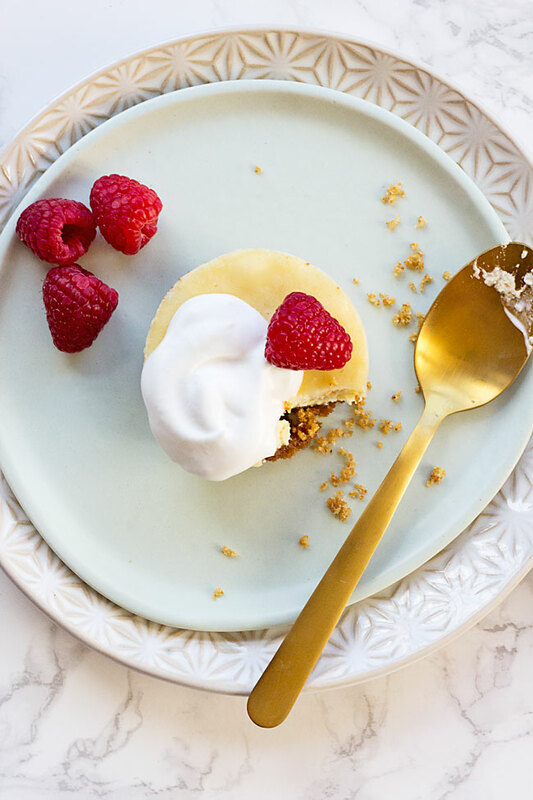 With 12 grams of protein per cheesecake, these tasty mini cheesecakes from Hello Glow are the perfect addition to your breakfast routine. 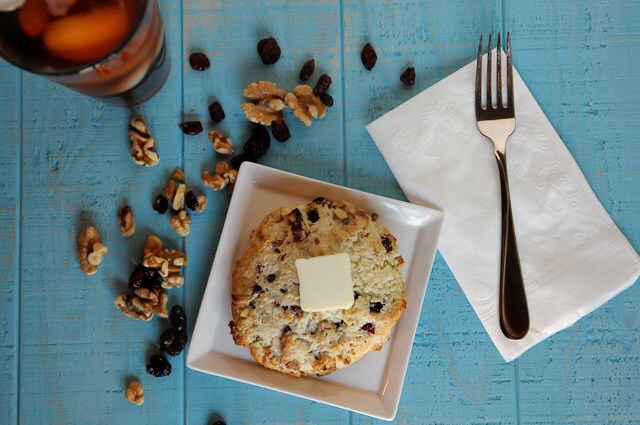 They’re sure to keep you fueled up until lunch without weighing you down. This creamy, chocolatey slice of heaven from The Seasoned Mom is super simple to make and so delicious, you’ll forget it’s actually good for you too. 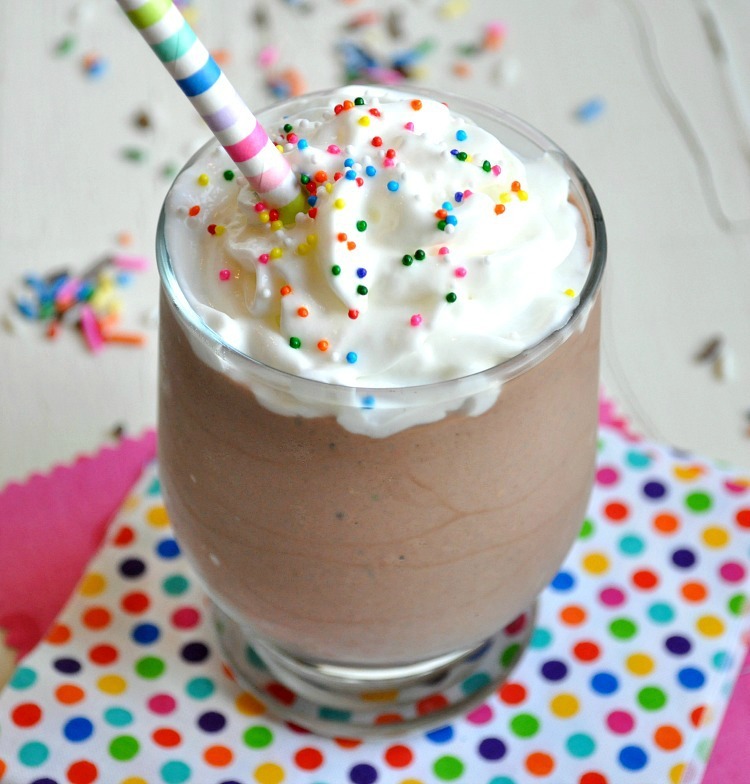 Just blend almond milk, chocolate protein powder, brewed coffee, cocoa powder, and ice together until smooth. Remember that today is always somebody’s birthday somewhere, so it’s always time for a celebratory cake (there goes that logic again). As always, I have to add my favorite go-to breakfast staple: yogurt. 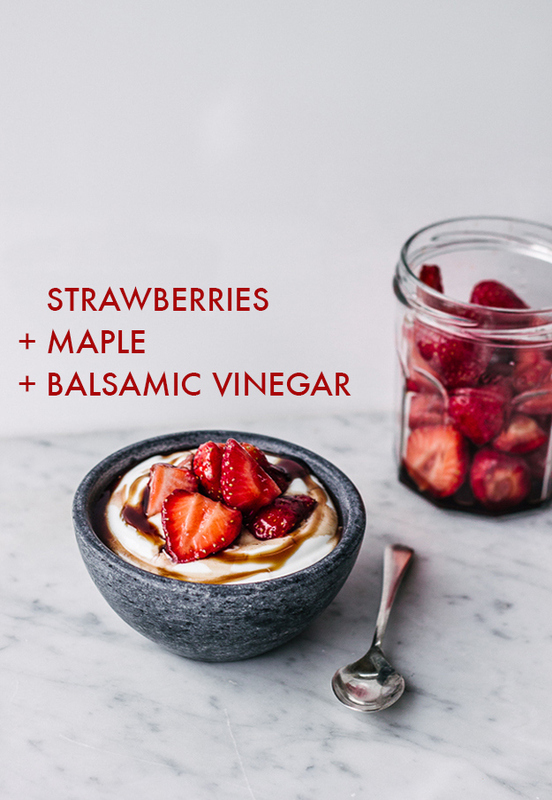 There are so many satisfyingly sweet toppings that you can add to your breakfast yogurt. For some amazing ideas, check out this definitive list of naughty yogurt toppings! One of the many things I miss about vacationing in London is afternoon tea. One of the many things I miss about afternoon tea is a warm scone with clotted cream. I’m ashamed to admit that before I went to London, I’d only had scones a handful of times, plucked from a display case, out of pure desperation while ordering some overly sweet latte from Starbuck$$$. But in London, scones with clotted cream is totally a thing, and from what I experienced, it’s such a thing that you don’t have to go out of your way to a specialty bakery to find it. I found myself stopping by Waitrose (a grocery store chain) every couple of days to get a package of scones and a tub of clotted cream. This was my go to breakfast, tea time treat, and occasional midnight snack the entire time I was across the pond. When I got home I fell back into my regular breakfast routine of yogurt with toppings. Delicious and satisfying, I know, but I have craved scones and clotted cream consistently since my return. 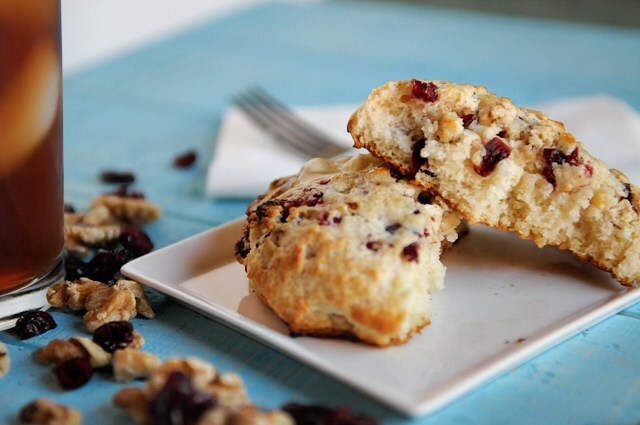 Alas, my fear of commitment wouldn’t allow me to just go ahead and bake a batch of scones for myself. Plus, the fact that clotted cream isn’t readily available here in the States (a fact that I lament on nearly a daily basis) had me questioning the meaning of life. The answer to this and pretty much any other existential crisis, is to find some method of instant gratification like a cinnamon roll in a mug. Totally quick, totally easy, and deliciously noncommittal. Amiright? 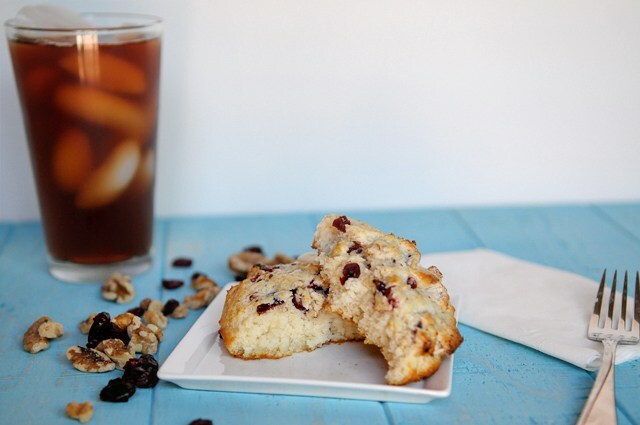 So, I found this amazing recipe for a scone for one! Yes! Talk about living the dream. I can now have a different flavor of scone every morning if I want to and I don’t have to fly all the way to the UK to do it. You must try this! In a small food processor or blender combine the flour, baking powder, salt and sugar. Pulse the butter into the dry ingredients until it breaks up and resembles crumbs. Next add in the mix-ins and milk and pulse until the dough pulls away from the side of the mixer, which should only take a moment. Carefully pull the dough away from the blade and shape into a circle, patting it to about 1/2 inch in thickness. Bake at 450 on a piece of parchment paper for 8-10 minutes until golden brown. Let cool slightly. Set the dish, uncovered, in the oven and leave undisturbed for 10-12 hours. Be sure to leave the oven on the whole time. For me, it’s easiest to do this overnight. Remove the dish from the oven and set to cool (I usually set it out to cool for at least a couple of hours). Then cover and refrigerate for a couple more hours. Remove from the refrigerator and scoop the thickened cream (top layer) into a jar or jars, and cover and put back in the refrigerator. There’s gonna be a low of 27°F in the City this weekend. You know what that means. I’m finally turning the heat on this season and I probably won’t be turning it off until April. You got me, National Grid. Well played, sir, well played. Anyway, there’s a bright side to this. You might not know this, but NYC radiators literally hiss and spit heat right out at you. It can get down right hot even when temperatures outside are plummeting. I can now, once again, after a brief Fall hiatus, settle into eating ice cream in shorts and a tank top like it’s the Fourth of July. 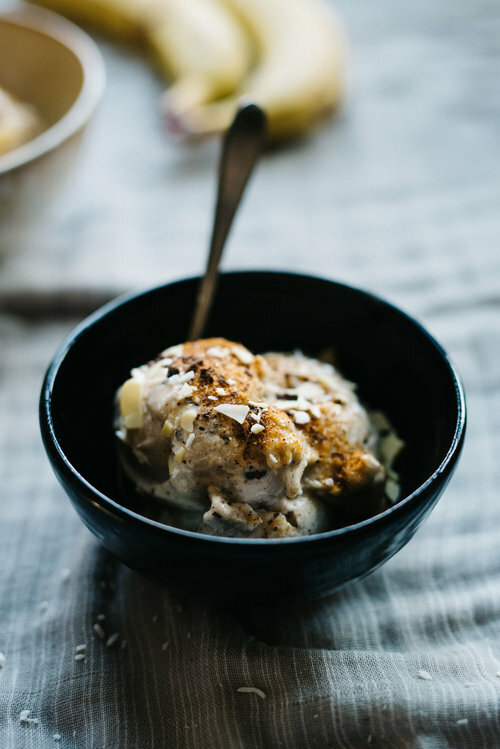 I probably should’ve shared this recipe over the summer because, well, it’s ice cream. I’m sharing it with you now though because, well, it’s amazing. 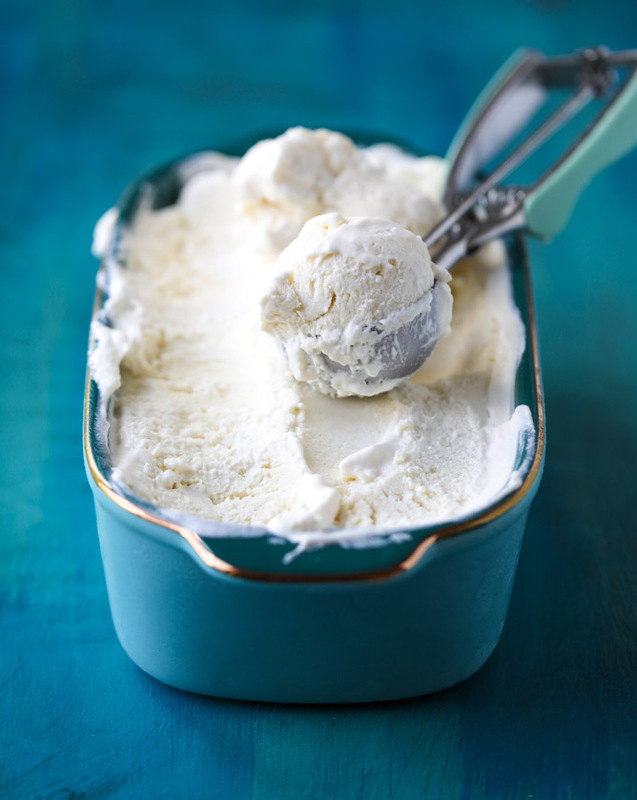 I don’t own an ice cream maker, so if I try making homemade ice cream, it’s always no churn. 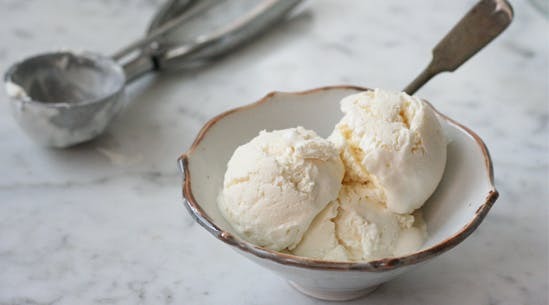 I’ll be honest, I’m not a huge fan of no churn ice cream because I can never get that perfectly smooth, creamy consistency I crave in an ice cream. 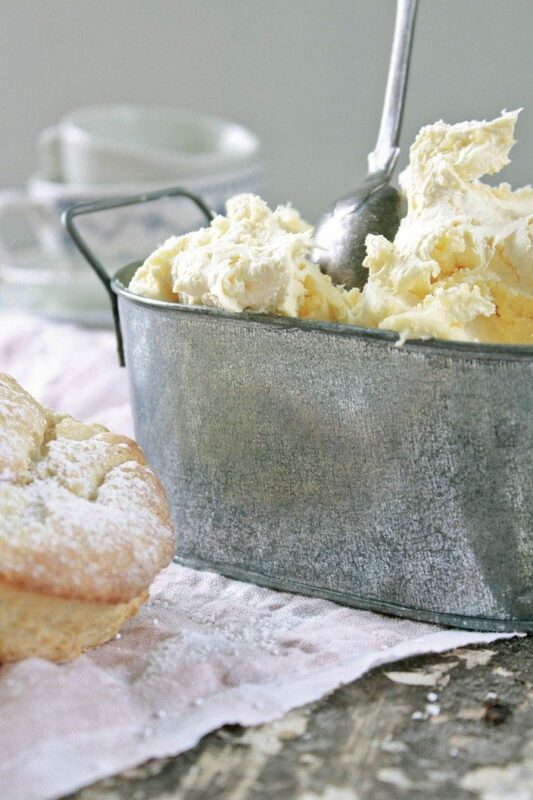 But this…this recipe will make you a no churn believer. 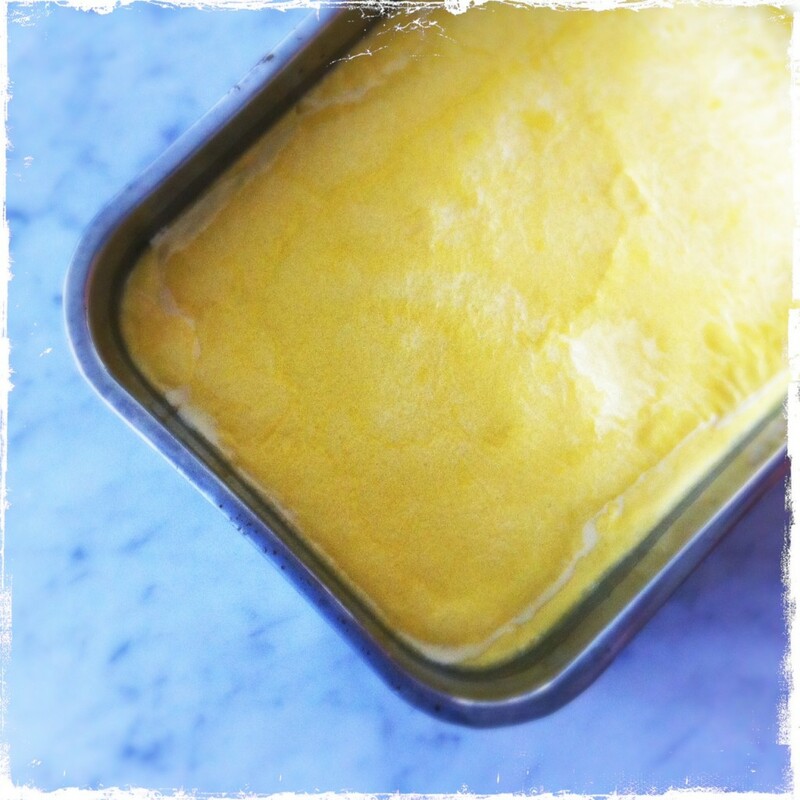 The secret…ricotta cheese! Think cannoli meets ice cream. You must try this! Pour 1¾ cups heavy cream into the bowl of an electric mixer fitted with the whip attachment. 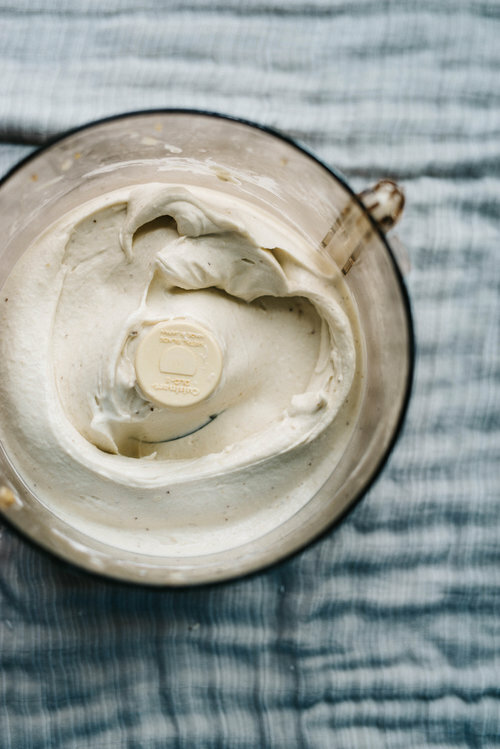 In a medium bowl, whisk the remaining ¼ cup heavy cream with the ricotta cheese, honey, vanilla and cinnamon to combine. Whisk vigorously to help thin the texture of the ricotta so it’s less clumpy. Whip the heavy cream on medium speed until it forms medium peaks. 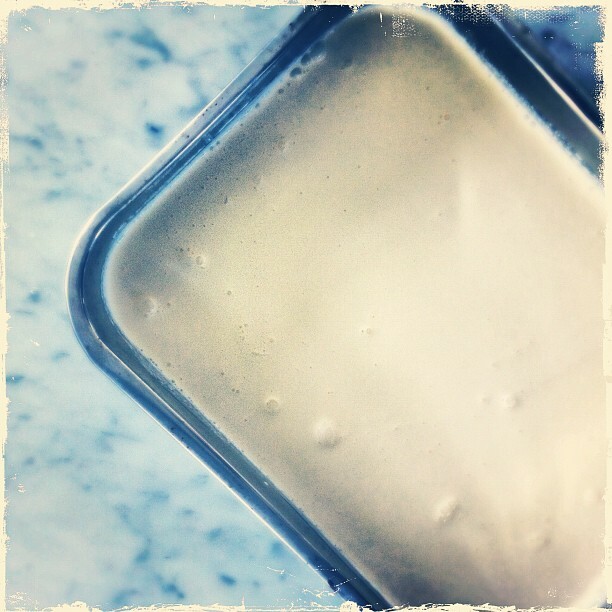 Gently fold the whipped cream into the ricotta mixture, mixing just until fully combined. Pour the mixture into a storage vessel (a casserole dish, cake pan or loaf pan would work) and cover with plastic wrap. Freeze until set, 3 to 4 hours. Soften for 15 minutes before scooping and serving.